Yard waste includes grass clippings, weeds, and other non-woody plant materials. During the growing season, the City collects yard waste on Mondays; collection must be scheduled in advance by calling (440) 775-7218. 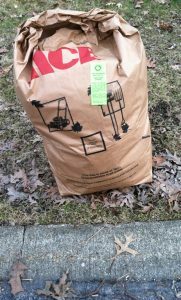 Yard waste must be placed in paper “lawn and leaf” bags or plastic yard waste bags that are clearly marked “biodegradable” by the manufacturer. Do not use grocery store bags or other b ags not designed for this purpose. Paper ‘lawn and leaf’ bags and biodegradable plastic bags can be incorporated directly into the compost. This increases efficiency and helps the City produce higher quality compost. Maximum weight is 30 lbs. per bag. Residents must purchase yard waste tags for $1.00 each from the City Finance/Utility Office located at 69 South Main Street. This requirement does not apply to brush or fall curbside leaf collection. At other times, leaves shall be treated as yard waste. Curbside brush collection service is provided one month in the spring and one month in the fall. The Spring Brush Collection is scheduled to begin Monday, April 15 and run through Pride Day weekend, May 19. Guidelines for brush collection include brush being cut to lengths no longer than six feet (6′) and should be neatly stacked (same direction) at the curb. Limbs larger than six inches (6”) in diameter should not be placed out for city collection. Brush must be free of wire, metal, stone, nails, rope, or other foreign materials. Japanese Knotweed (looks like bamboo), stumps, brush with root balls, limbs larger than six inches in diameter, unstacked brush, grape vines, rose bushes, and non-woody yard waste will not be collected by the City. Brush resulting from tree removal or major trimming projects is the responsibility of the property owner. The City reserves the right not to collect excessive amounts of brush. All brush must be placed out on the curb no later than Sunday, May 19, 2019. Call Public Works with questions (440) 775-7218. The Fall curbside leaf collection start date will be posted later this year. The City will make passes through town until a majority of the leaves are collected or until snow falls. Leaves are to be raked to the curb lawn only and not into the street. Leaves in the street clog storm drains and contribute excess nutrient loading to Plum Creek. The City will not collect leaves in the spring. 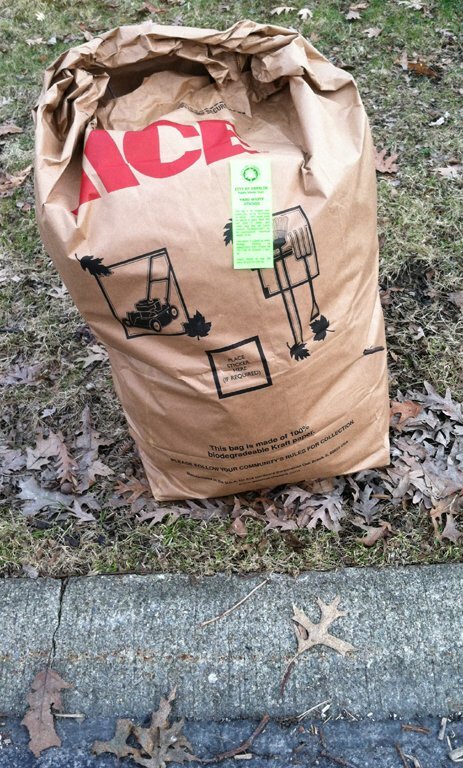 Residents may use the yard waste collection for residual leaves. Curbside brush collection service is provided one month in the spring and one month in the fall. The Fall Brush Collection dates will be posted later this year. Guidelines for brush collection include brush being cut to lengths no longer than six feet (6′) and should be neatly stacked (same direction) at the curb. Limbs larger than six inches (6”) in diameter should not be placed out for city collection. Brush must be free of wire, metal, stone, nails, rope, or other foreign materials. Japanese Knotweed (looks like bamboo), stumps, brush with root balls, limbs larger than six inches in diameter, unstacked brush, grape vines, rose bushes, and non-woody yard waste will not be collected by the City. Brush resulting from tree removal or major trimming projects is the responsibility of the property owner. The City reserves the right not to collect excessive amounts of brush. Call Public Works at (440) 775-7218 with questions.